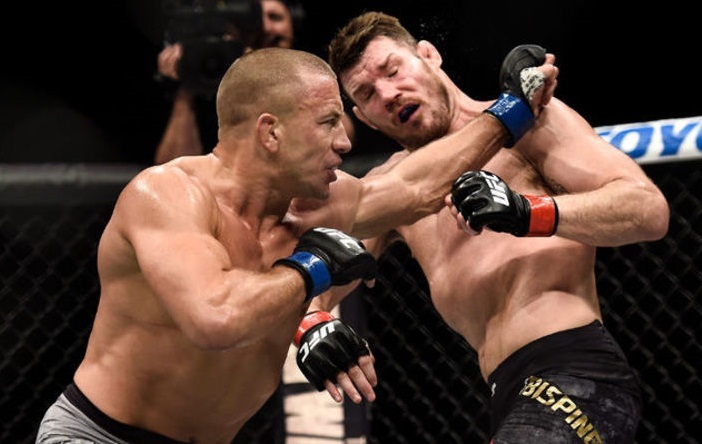 The main event for UFC 217 had “The Count,” Michael Bisping, defending his title against the return of Montreal’s own, Georges “Rush” St-Pierre at Madison Square Garden in New York City. The buzz surrounding this bout was built on the fact that GSP has not stepped into the octogon for nearly four years. His last bout was against Johnny Hendricks in 2013, where St-Pierre narrowly retained his title as welterweight champion. 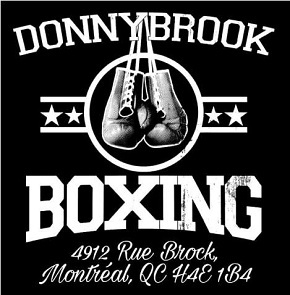 After that fight, he announced he would be hanging up his gloves for an undetermined period of time. Earlier this year, GSP and the UFC announced his comeback, and after months of dealings, the fight between he and England ‘s Michael Bisping for UFC 217 was signed and sealed. 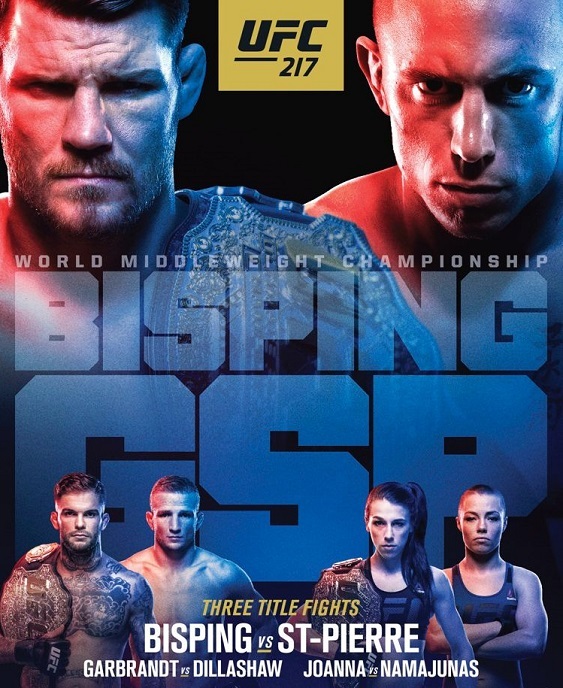 After years of dominating the welterweight division (170lbs) as champion, GSP was fighting for the first time at middleweight (185lbs) in the UFC and was the smaller fighter going in against the natural middleweight in Bisping. 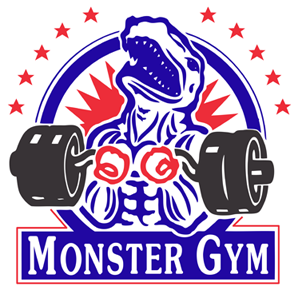 But despite being out-sized, and despite the lengthy layoff from competition, GSP was the betting favorite ahead of the big showdown, though at the same time there was speculation that the 36-year-old former champion might be hampered by “ring rust.” The build-up for the event had viewers excited. We had a return of one of the best MMA fighters of all time against the antagonizing blue-collar fighter, Michael Bisping, and it promised to be a war to remember. From the start, St-Pierre showed himself the more active fighter as he demonstrated confident composure. Any worries GSP fans had regarding ring rust were not borne out, at least not in the first round. He landed successful jabs, straight kicks and a takedown to keep Bisping on the defense. His most significant strike early in the first round was a quick overhand right that appeared to surprise “The Count” and pretty much set the pace for Georges the rest of the round. However, Bisping is known to be a patient fighter, and does hold the record for the most significant strikes landed in the UFC. 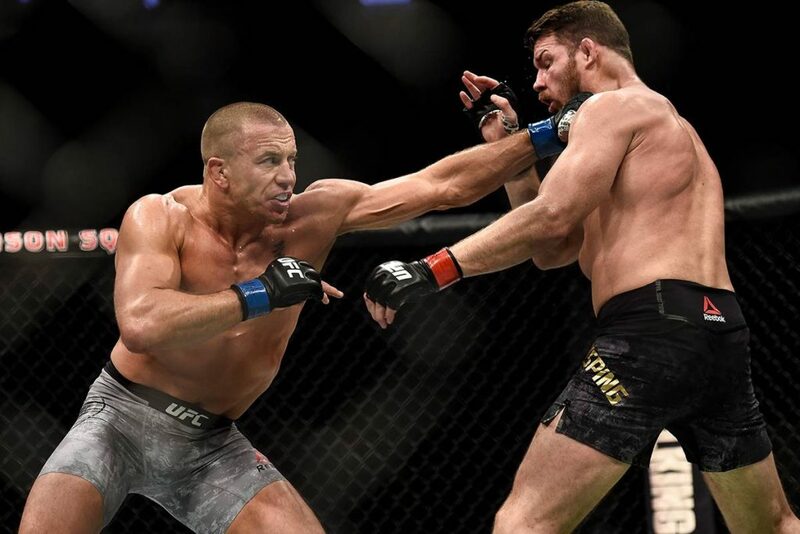 This demonstrates his ability to set up his attacks and he showed moments where he caught St-Pierre with a few staggering blows in the second round. GSP was able to take down Bisping again, but was not able to actively attack in that position. He also couldn’t keep Bisping down long. At this moment GSP’s movement appeared a little more laboured and he showed signs of tiring, while the well conditioned Bisping tried to exploit it by being more aggressive and throwing combinations before end of the round. The third round saw the fighters trade, with GSP eventually getting Bisping to the ground again but he was not able to attack effectively. The defending champion managed to cut open the St-Pierre’s forehead with an elbow while he had his guard around the challenger. Bisping managed to get back up again and was now facing a bleeding Georges St. Pierre on their feet. Despite the the crimsom mask GSP was wearing he continued attacking and timed a powerful left hook after feinting his right hand and dropped the defending middleweight champion. Georges, in vintage “Rush” fashion, positioned on top of Bisping to land quick brutal elbows. Bisping defensively turned his back and GSP took advantage and sunk in a rear-naked choke. Bisping did not give up, but referee Big John McCarthy put an end to the match upon seeing Bisping go limp from the submission. And a new UFC middleweight champion is crowned. The main event did not disappoint on any level. Bisping argued prior to the bout that while GSP was away, he himself was out fighting the top guys, including defeating legends, Anderson Silva and Dan Henderson. He of course also won his title from Luke Rockhold. Georges on the other hand, was and is, arguably the greatest UFC welterweight of all time, having successfully defended his title nine times. Fans all over were speculating how Georges would look in his first fight back after nearly four years. 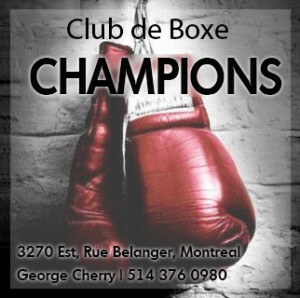 Not only did Georges look great at middleweight, he was able to overcome some fatigue in round two and come back even stronger in the following round to finish the former champion. The last time Georges finished his opponent was back in 2009, at UFC 94 against BJ Penn. What this leaves us all to question now is, what is next for Georges St. Pierre? Will he defend the 185lb title or will he go back to his natural weight and fight the welterweight champion to regain that title? At this point we can only speculate but there’s no question that last night’s victory was a landmark one in the legendary career of GSP.